Probiotic foods don’t just taste great; they are also loaded with a great variety of benefits for our health. Below you will find a list of the 10 best probiotic foods and an overview of the main reasons for which they are so special. Add them to your diet to get the best out of each and every one of them. Did you know that the number of bacteria from our bodies outnumbers our cells by at least 10 to 1? These bacteria include both harmful and beneficial ones and an ideal balance should be around 85% good bacteria and 15% harmful bacteria. When we think about the importance of probiotic foods, we should be interested in maintaining this ideal ratio. Probiotics are not at all some new concept, and all that’s new about them is that today you can also find them in the form of supplements/pills/capsules. However, from a historical point of view, humanity has been consuming large amounts of probiotics in the form of cultured and fermented foods since forever. They were invented long before refrigeration or other kinds of food preservation. Probiotic foods contain live and active cultures of bacteria which are very beneficial for our health. We can enjoy most of the benefits of probiotic foods due to the process of fermentation. Every traditional culture has fermented foods in their traditional diet. You can ferment almost everything: grains, dairy, vegetables, meats, fruits, fish and so on. There are also fermented beverages. 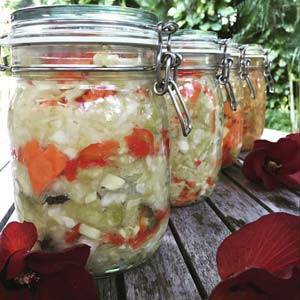 A significant percent of the foods we consume on a daily basis are fermented, and it is great because with every mouthful of these fermented foods we ingest trillions of beneficial bacteria. How does the fermentation process work? Nature is extremely kind and wise and it has populated all veggies and fruits, all plant matter and even the dust on the soil with Lactobacilli also known as lactose-fermenting bacteria. For instance, the fresh cabbage leaves are covered in it. All you have to do is chop it up and add some salt in the first stages to stop putrefactive bacteria from multiplying. When Lactobacillus start multiplying, they produce lactic acid which is one of the most powerful antiseptics. Lactic acid kills all pathogenic and putrefactive microbes and it preserves the food. It is important to remember that fermentation (the anaerobic process) does more than just preserving food; it also has the benefit of making the nutrients from the food more bioavailable or more active. First and foremost, all probiotic foods are ideal for maintaining a healthy gut. Our gut flora is essential for every process in our bodies: a healthy digestion, metabolic health, clear skin, easier weight loss, a good mood, great brain functions, healthy organs and so on. So, pampering our gut flora should be on our top priorities list. The beneficial bacteria from all probiotic foods are the very same ones who populate a healthy gut. Therefore when we consume such foods, it is practically an infusion of healthy flora. 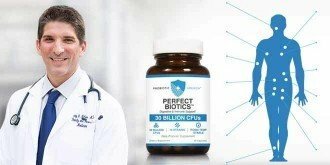 Probiotic supplements represent an alternative way to get probiotics in our bodies, but we must know that they are not totally perfect. The bacteria from their composition is too easy to kill; for instance, if a probiotic supplement sits on a store shelf for an excessive period, or if it’s transported in a hot truck without any means of refrigeration, or if it’s treated carelessly during storage and distribution, it’s entirely possible that by the time you take it, it will only be some expensive placebo. Of course, this does not happen to all supplements; there are also manufacturers who manage to avoid all these, by creating high-quality products and packaging. You won’t have to worry about such risks with probiotic foods, especially if you prepare them yourself. Another important thing to consider regarding probiotic foods is the fact that as great as they are for most people, they might not be totally right for everyone. For instance, individuals who suffer from Small Intestinal Bacterial Overgrowth (SIBO) often learn that probiotics are quite difficult to handle. As a result, such people should not try to force it, but instead, they can start slowly and they can then gradually increase the probiotic food intake as their gut starts to heal. This way, many people eventually end up being able to tolerate them. Traditional probiotic yogurt is made from dairy which has been fermented into a creamy food packed with probiotic benefits. Yogurt represents a stable source of fats, protein, vitamins, minerals and carbohydrates. This super-food has a maximum nutrition level when it’s sourced from grass-fed goats or cows and it supplies our body with whey protein, Omega-3 fatty acids, magnesium, calcium, vitamin D, potassium, vitamin K2, probiotics and enzymes. You can make dairy-based yogurt from goat’s milk or sheep’s milk, but the most popular one remains the traditional cow’s milk. In today’s U.S., yogurt is the most consumed dairy product. The fermentation process involves the heating of dairy milk to the point of killing the existing bacteria and this process is called pasteurization. Afterward, a starter culture of live bacteria is introduced and the milk must ferment for several hours until it becomes rich, thick and tart. Yogurt Supports Healthy Digestive Processes – The healthy bacteria from the yogurt’s composition improve the gut’s microflora and keep a healthy digestive tract. These beneficial bacteria help with some gastrointestinal conditions including constipation, colon cancer, lactose intolerance and diarrhea. Individuals who suffer from lactose intolerance find yogurt to be very soothing for their intestines. Lowers the Risk of Developing Type 2 Diabetes – Yogurt is associated with a decreased risk of type 2 diabetes and it also supports a healthy digestion and an optimal absorption of beneficial nutrients throughout the digestive tract. All this is crucial for healthy levels of sugar in the blood. Promotes Bone Health – Yogurt increases bone density and it prevents osteoporosis. Nutrition plays an essential role in the prevention and treatment of this health condition. The most important micronutrients for our bone structure are vitamin D and calcium and they can be found in yogurt. Yogurt is Good for Weight Loss – According to various studies, yogurt increases fat loss, especially in the areas of the belly and waist. Lowers the Risk of Developing Cancer – Yogurt consumption is also associated with protection against colorectal cancer by keeping a healthy digestive tract. Optimizes Immunity – Like all probiotics, yogurt boosts our immune system and it helps our bodies to fight infections and disease. Maintains a Healthy Heart – The potassium from yogurt’s composition helps decrease high blood pressure and all the live probiotics in yogurt reduce bad cholesterol. A regular intake of probiotic yogurt has the potential of significantly reducing coronary disease. Improves the Overall Mood – As studies have already shown, a healthy gut means a healthy mood and people who regularly consume yogurt show more control in their emotions and less anxiety. Yogurt Helps with Pain and Brain Illness – The probiotics in yogurt have the ability to fight chronic pain and brain-related diseases such as autism, Parkinson’s and Alzheimer’s. Kefir resembles a drinkable thin yogurt, and it can be made from goat, cow and sheep milk which must be preferably raw. It can also be made from rice milk or even coconut oil and it’s very rich in antioxidants. 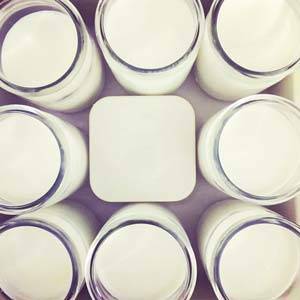 Kefir and yogurt contain different types of beneficial bacteria because kefir contains some strains of bacteria which cannot be found in yogurt. While the good bacteria from yogurt can nourish the digestive system, the different bacteria from kefir have the ability to colonize the intestinal tract. 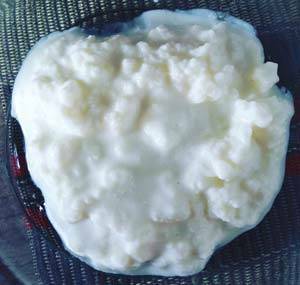 Traditional kefir is made with gelatinous grains which ferment the milk and these particles contain the probiotic culture. During the fermentation process, these grains incorporate the live bacteria into the milk and they create the cultured product. In the end, the grains are removed before the kefir is consumed and they’re added to a new batch of milk and so on. All in all, kefir is a more potent probiotic than yogurt, and it has the same benefits for health as yogurt and some extra ones. Kefir Has Potent Antibacterial Properties – Studies have shown that kefir can inhibit the growth of some harmful bacteria such as E.coli, Helicobacter Pylori and Salmonella due to the probiotic Lactobacillus kefiri which is unique to kefir. Kefir Improves Symptoms of Asthma and Allergies – Allergic reactions are usually caused by some inflammatory responses of our body against harmless substances from the environment. People who are more prone to allergies are the ones with an over-sensitive immunity. Such allergies can provoke health conditions like asthma and studies have shown that kefir has the ability to suppress the inflammatory responses related to it. Sauerkraut is made from fermented cabbage and other vegetables and even if it’s not very diverse in probiotics it’s extremely high in organic acids which support the growth of beneficial bacteria. Cultured Veggies Improve Digestive Processes. The probiotics from cultured veggies can lower the presence of toxins and bad bacteria from our digestive tract and they can also fight inflammation from this area. They can reduce the symptoms of Irritable Bowel Syndrome, constipation, bloating, diarrhea, food sensitivities and various digestive disorders. Probiotics from cultured veggies control certain immune cells and they prevent autoimmune reactions. They also add a strong barrier against lots of microbial infections. Cultured Veggies Reduce Allergies – The bacteria from cultured veggies help increase and regulate the natural killer cells which control the body’s inflammatory paths and fight infections or food allergies. Help Protect Cognitive Health – We already know that our brain and the digestive system are connected, so having a healthy digestive system will offer benefits for our nervous system. Probiotics from cultured vegetables can also help us to handle stress better and they can improve our mood. Probiotics produce beneficial hormones which combat the effects of stress on our bodies. Cultured Veggies Maintain an Optimal Weight – Studies have proven that probiotics from cultured vegetables can also lower the risk for developing obesity and they can help with weight loss. The Antioxidants from Cultured Veggies Fight Cancer – Cabbage is among the foods with the highest amount of antioxidants and it has very powerful anticancer properties. It helps fight the negative effects of free radicals and it minimizes their damage on our bodies’ health. Pickles are cucumbers (or other veggies) which have been pickled in a solution of water and salt. 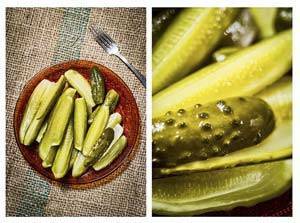 Pickles are left to ferment using their own lactic acid bacteria and due to this process they become sour. Pickled cucumbers are also an excellent source for beneficial bacteria for the health of our digestive processes. It’s critical to remember that natural pickles mustn’t be confused with commercially-produced vinegar-soaked veggies found on the supermarket shelves. Pickles made with vinegar don’t contain live probiotics. Pickles should be consumed with caution because they contain significant amounts of salt, and salt can cause problems of its own when it’s consumed in higher amounts. They Are a Great Source of Vitamins and Minerals – Pickles supply essential vitamins such as vitamins A, C, K, folate, and minerals like calcium, iron and potassium which are vital micronutrients that protect us from various diseases and help us strengthen our immune system. They also promote our bone health, protect our vision, and can cure anemia. Pickles Control Diabetes – Many studies have shown that pickles have the ability to improve hemoglobin levels in diabetic patients. Pickles Protect the Liver – Apart from improving our digestion, pickles also have some hepatoprotective properties. They can reduce hepatotoxicity or liver damage significantly. Pickles Reduce Ulcers – Ulcers represent internal wounds which are caused by a failure of mucous membranes and acid interaction on our tissues. Gastric ulcers appear due to a weakening of the mucous membrane and to hyperacidity. Regular consumption of Indian gooseberry pickles can help in reducing ulcers. 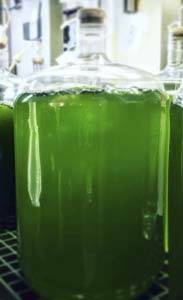 Microalgae contain various nutrients such as amino acids, carbohydrates, proteins, and they also have low calories and almost no fat. They have powerful antiviral properties, and they’re rich in antioxidants. Therefore microalgae can combat HIV and other viral infections. Spirulina, for instance, has been shown to hinder the growth of cells in herpes, and it strengthens immunity; it also helps in cell regeneration and in the repair of damaged tissues. They Help Combat PMS – Studies have found microalgae to be very effective in relieving women from Premenstrual Syndrome. Microalgae Help Treat Mouth Sores – Microalgae lower the risk of developing oral leukoplakia in the case of tobacco users. Microalgae Detox the Body – Microalgae are able to detoxify the body of heavy metals such as mercury and all the phytonutrients can aid in cleansing the whole organism. They Can Treat Anemia – Microalgae can restore iron and fight the symptoms of fatigue and muscle exhaustion, enhancing the physical abilities of the body during intense exercise. It’s a High Source of Anti-Inflammatory Omega-3 Fatty Acids. The fermented cod liver oil’s composition lowers the risks of developing heart disease, ADHD, anxiety, high cholesterol, arthritis, inflammatory bowel disease, cancer and many more due to the rich amount of Omega-3 acids. Remember that the imbalance of these fatty acids is the cause of inflammation which is the root of most diseases! Fermented Cod Liver Oil is a Great Source for Vitamins D and A.
Vitamins D deficiency symptoms include anxiety, depression, infertility, low libido, fatigue, autism, asthma and consuming fermented cod liver oil can prevent all these. Vitamin A provides bone growth, good night vision, healthy cellular growth, and healthy ovarian and testicular functions, boosting fertility. 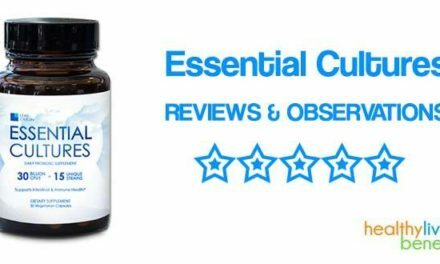 Lowers Heart Disease – Fermented cod liver oil treats high blood pressure, and it balances cholesterol levels and as a result, it maintains a healthy heart. Fermented Cod Liver Oil Lowers the Risks of Developing Cancer – Vitamin D is associated with lowered risks of cancer and cod liver oil also has antiproliferative effects on breast cancer cells. Prevents and Treats Diabetes – The healthy essential fats from fermented cod liver oil control insulin resistance and they also manage glucose, lowering the risks for developing diabetes. They can also fight symptoms related to the complications of this disease. Fermented Cod Liver Oil Treats Arthritis – Cod liver oil is associated with reduced pain, stiffness and swelling in patients with arthritis or another inflammatory disease. 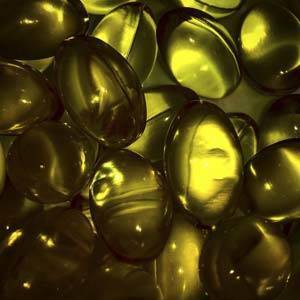 Improves Brain Functions – Supplementing the diet with cod liver oil is associated with lower risks for depression and other brain disorders including cognitive decline. 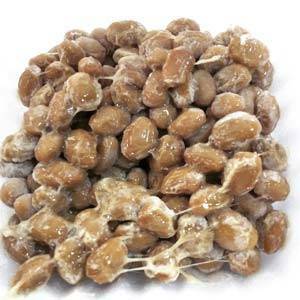 Natto is a very popular Japanese dish consisting of fermented soybeans. It contains powerful probiotic bacteria which have been proven to boost immunity, enhance digestion and support the cardiovascular heath. 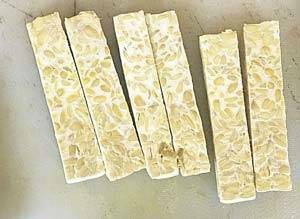 Tempeh is another fermented soybean product with a nutty, earthy flavor which is similar to that of mushrooms. It’s originally from Indonesia, but it has become popular all over the world for being a meat substitute high in protein. Miso is a Japanese seasoning made by fermenting soybeans with salt and koji (a type of fungus). It can also be made by mixing soybeans with rye, rice or barely. Fermented Soybeans Promote a Healthy Heart- They offer moderate cardiovascular support as a result of their ability to lower the levels of bad cholesterol and triglycerides from the blood. They Help in Cancer Prevention – Although the area of cancer prevention is a bit controversial, many studies have suggested that fermented soybeans are beneficial when included in a cancer-preventing diet. They can suppress a certain protein from tumors, and as a result, they can prevent the proliferation of cancer cells. Their composition includes oxidant and anti-inflammatory compounds. Fermented Soybeans Reduce Common Symptoms of Menopause. Fermented soybeans have the ability to reduce hot flashes and they also promote an optimal bone health, improving the mineral density and bone metabolism. Obesity Prevention – Soybeans are associated with appetite suppression, and they avoid the depositing of fatty acids in fat cells. The substances from fermented soybeans have been proven to lessen insulin resistance by increasing the synthesis of insulin receptors. Other areas of active studies and research regarding the benefits of fermented soybeans include neurodegenerative disease, periodontal disease and chronic obstructive pulmonary disease. 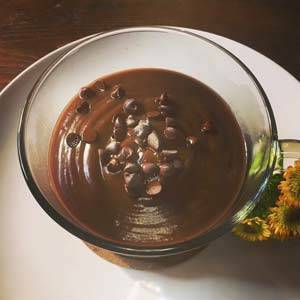 Dark chocolate has a high cocoa content which is very nutritious and it contains a decent amount of soluble fiber and at the same time it’s loaded with minerals and vitamins. Also, the fatty acids profile of cocoa and dark chocolate is great. Dark chocolate is full of organic compounds which are biologically active and they function as antioxidants which fight the negative effects of free radicals. These substances include flavanols, polyphenols, catechins. The compounds from dark chocolate improve blood flow and they also lower blood pressure; therefore dark chocolate can prevent various heart diseases. It can also decrease the levels of bad cholesterol from the blood and it reduces insulin resistance which is another risk factor for many cardiovascular problems and for diabetes. Dark Chocolate Offers Protection against the Negative Effects of Sunrays. Dark chocolate contains some bioactive compounds which are great for the skin’s health; the flavonols protect it against sun-induced damage. Improves Brain Functions – High-flavonol cocoa has been shown to improve the blood flow to the brain. It’s also beneficial for elderly people with mental impairment. Even if most types of cheese are fermented this doesn’t mean that they’re all full of probiotics. It’s essential to look for live and active cultures in cheese on the food labels. Probiotics survive the aging process of the following types of cheese: Gouda, mozzarella, cheddar, cottage cheese. Cheese is very nutritious and it’s rich in proteins, minerals and vitamins. Due to the fermentation process, cheese is loaded with probiotics keeping the digestive system as healthy as possible. Cheese Promotes Healthy Bones and Teeth. The calcium from its composition assures healthy bones and teeth and it can prevent some bone problems associated with aging such as osteoporosis. Regarding the teeth, the latest studies suggest that cheese protects teeth from acid erosion caused by tea, coffee, soda or wine. 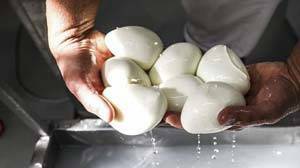 It’s Beneficial for Athletes – Athletes are usually looking to gain weight and full fat cheese is optimal for weight gain due to its composition high in calories. Cheese Keeps a Low Rate of Coronary Heart Disease Death – Studies have shown that people who regularly eat cheese are less likely to develop cardiovascular disease. Kombucha tea or fermented tea can be found in Asian grocery stores and also in health food stores. It’s a dark tea which increases energy levels of the body and it helps with the stomach’s natural digestive processes. 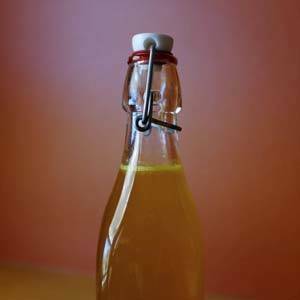 Kombucha tea is made by adding a colony of bacteria and yeast to a mixture of tea and sugar and the mix must be allowed to ferment. Promotes Joint Health – The glucosamines from Kombucha tea can prevent and also fight arthritis and they preserve cartilage structures. Glucosamines increase the production of hyaluronic acid which enables lubrication and flexibility and prevents free radical damage. Boosts Immunity and It Aids Gut Health – The probiotic properties of Kombucha also improve digestive processes like any other probiotic food or beverage. 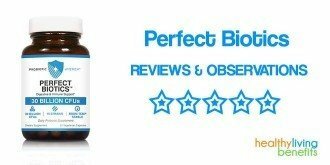 The antioxidants from its composition boost immunity and the energy levels of the body. 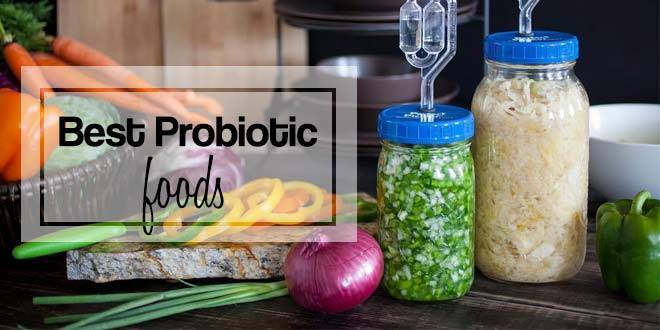 Turning to probiotic foods for nourishing your gut with beneficial bacteria is the best thing you can do for your overall health.